Dr. Lins specializes in creating a safe environment for you to discover the underlying causes of your health complaints. In Naturopathic Medicine it is of utmost importance to find the cause of illness and remove the cause so the body may heal itself. Laboratory testing is conducted after a through discussion and any necessary examination. Dr. Lins has been in private practice since 2002 and has received advance trainings in Bio-Identical hormone therapy, Thyroid Treatments, Weight Management, Rejuvenation techniques using Platelet Rich Plasma (PRP) and IV therapies. Additionally she trains physicians and is an international lecture and published author. Some women begin experiencing disturbed sleep, night sweats, hot flashes, mood swings and weight gain as they enter the 5 -10 years around menopause. Dr. Lins has been helping women go through this life changing transition for nearly 20 years. With the use of natural treatments you can make this time graceful and empowering. 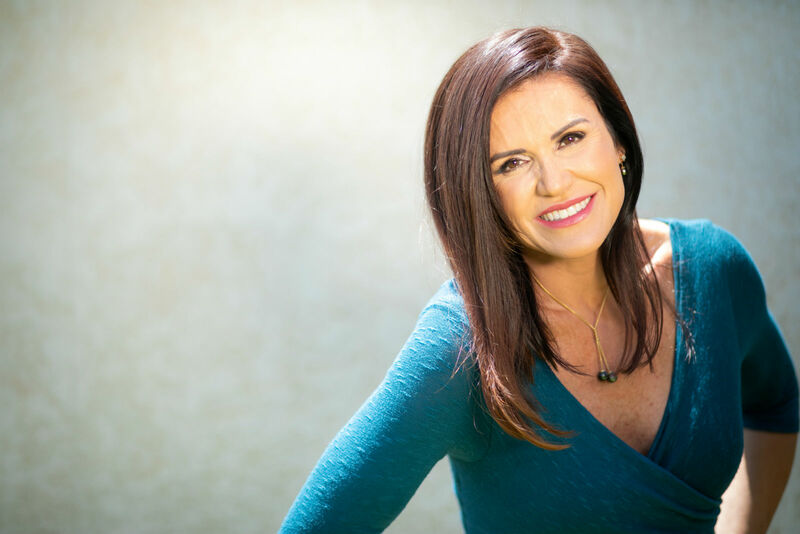 Whether you want to allow things to progress naturally with only enough intervention to stop the discomfort or you want to slow down the aging process indefinitely with bio-identical hormones, Dr. Lins can help create the plan which is best for you. Don’t suffer needlessly! I had a patient come to see me in her 70s still suffering with the above complaints. Two weeks after our visit she came in with no hot flashes after almost two decades of discomfort. She kept thinking it would eventually stop after menopause! She was so happy to finally feel normal again. When your hormones are balanced your life comes back! you owe it to yourself and your loved ones to reclaim your health! The leading cause of preventable death for postpartum women is suicide. It is estimated that over 950,000 women a year in the US alone suffer with Postpartum Depression. But did you know that many women go unnoticed because they suffer with postpartum anxiety and Obsessive Compulsive Disorders? Dr. Lins’ goal is that these women be heard and treated properly early in their distress. It is a tragedy that many women are not comfortable confiding in their friend, family or physician and instead suffer miserably in isolation or hide behind a facade of happy motherhood. Dr. Lins has created a 4 step protocol for postpartum health. The best gift we can give a child is a happy mother! Dr. Lins encourages women not to be ashamed of their feelings, but instead to change them through nutrition, lifestyle and proper support. Instead of a bandaid approach find true long lasting healing for a happy healthy postpartum! This condition can be best described by the phrase “I’m not sick, but I’m not well”. The patient will have trouble maintaining a healthy weight or begins to steadily and sometimes drastically put on weight without much change in diet or lifestyle. This condition will have “borderline” diagnoses of pre-diabetes, high blood pressure or high cholesterol. Perhaps not bad enough to diagnose or prescribe medications, the patient is left to eventually develop diabetes, high blood pressure or high cholesterol rather than preventing the progression. As these conditions are just surfacing is the best time to treat with Naturopathic medicine. However patients already diagnosed and on medications can often heal their bodies through proper complimentary treatments. This will result in a healthy weight and alleviate the need for medications and worsening of symptoms. Often after giving birth or post menopause a women will have trouble maintaining a healthy weight. Despite no changes in diet or exercise she begins to steadily and sometimes drastically put one weight! One women I treated had gained 5-10 pounds a year after menopause and was 100 pounds overweight when she came to see me despite very low calorie diets and 3 hours of exercise daily. 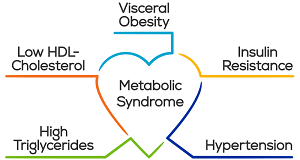 When weight gain occurs without much change in diet or lifestyle we must consider the cause is not “calories in, calories out”, but is in fact a metabolic or endocrine dysfunction. Natural treatments to restore proper hypothalamic function will result in a healthy weight and alleviate the need for medications and the worsening of symptoms. Sign up for Dr. Lins exclusive e-mail list and receive a free eBook download – Pounds & Inches: A New Approach to Obesity. The body operates many of its most important functions via the use of enzymatic reactions. When the body temperature is below normal (98.6F average) the person may experience a multitude of symptoms which appear to be low functioning thyroid such as hair loss, weight gain, dry skin & nails, digestive disorders, fatigue and mood issues to name a few. Unfortunately the low body temperature may be the only sign as their laboratory results will be “Within Normal Range (WNR)”. Therapy to restore optimal body temperature will result in the resolution of these complaints. 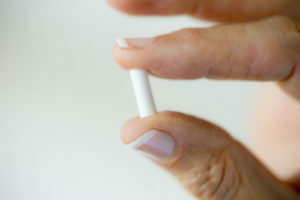 Did you know your hormone levels begin to drop at around 35 years old?!? Do you remember when 40 was considered “Over the Hill”? Now 60 is the new 30! Keeping the mind & body youthful despite decades of life requires a comprehensive program of nutrition, lifestyle, botanical (herbal) medicine, Bio-identical hormones, targeted amino acid, vitamin and Platelet Rich Plasma (PRP) therapies. Using blood testing and the highest quality products and techniques Dr. Lins will help you to optimize your health. Our culture is driven to succeed and that success comes at a price. We must care for our bodies properly as they truly are our irreplaceable vehicle. Did you know that sleep is the most important component of good health? “Tired & Wired” best describes the adrenally fatigued. Discovering the underlying cause of the exhaustion is paramount in providing proper care. Only then can the right protocol be implemented to bring healing to the body, mind, and spirit. Good sleep creates good energy and that in turn creates good sleep! It is the upward spiral of good health. 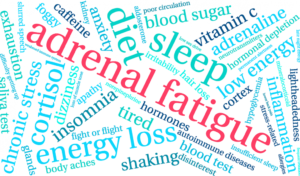 Don’t wait till you have reached the burn out stage, heal your adrenals now! 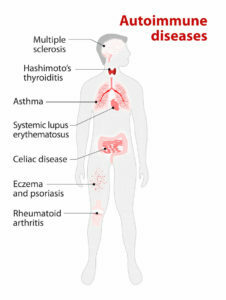 Once unheard of, autoimmune disorders such as Hashimoto’s Thyroiditis, Lupus, Sjogren’s Syndrome, Rheumatoid Arthritis, Crohn’s disease and others are now commonplace. How is it that the body turns on itself and attacks its own tissues? “Remove the cause & the body will heal” is paramount in naturopathic medicine. By acquiring a better understanding of the mechanisms at the root of the condition we may address the symptoms in a new light. A new approach can find solutions other than “just living with it” or taking a medication “for the rest of your life”. 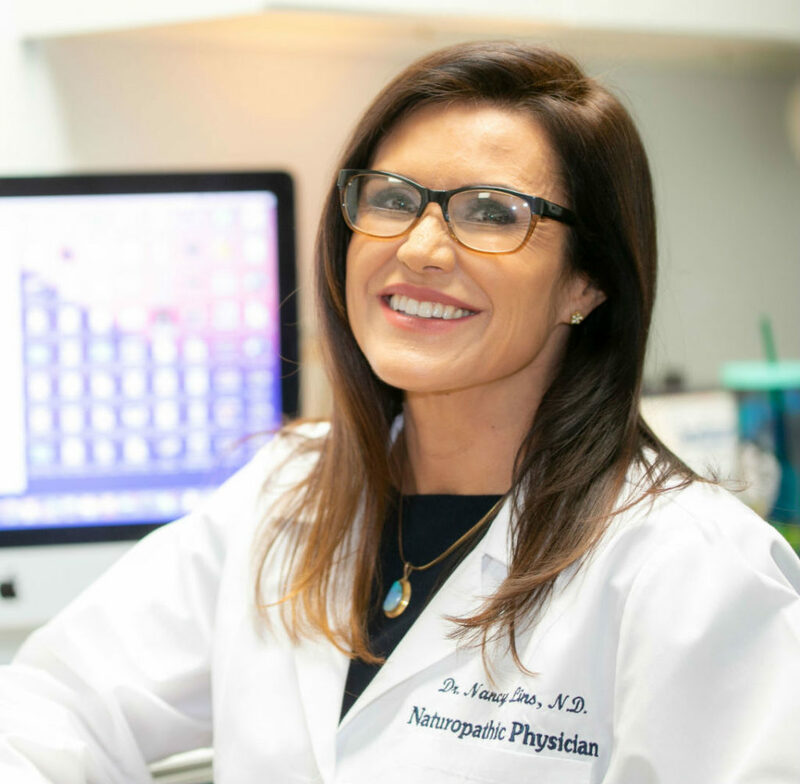 Dr. Nancy Lins is proud to offer the latest advances in aesthetics using PRP (Platelet Rich Plasma) for both facial rejuvenation and hair restoration. Known also as the “Vampire Facial®” or “PRP Blood facial” – PRP combined with microneedling and/or injection is a safe, non-surgical procedure that rejuvenates aging skin by restoring skin tone, texture and volume. The process involves drawing blood with a butterfly needle and and isolating the platelet-rich plasma (PRP) using a centrifuge. This serum is then injected back into the skin and uses your own platelets and growth factors to trigger new collagen production that results in tighter, smoother and younger-looking skin with less downtime and faster healing. There is confusion in the medical literature between synthetic hormones and natural or bio-identical hormones. Studies have proven that synthetic hormones cause breast cancer, uterine cancer and heart disease. 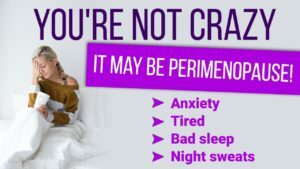 Natural (from a plant or animal) or bio-identical hormones (exactly the same biochemically as the hormones your body makes) cannot cause these diseases. However, hormones can cause cancer to grow. It is important to have proper testing to rule out the presence of cancer and to consider past medical history and family history. What if I don't want hormone therapy but do want anti-aging & rejuvenation? Herbs can have hormonal effects on the body but will not change hormone levels. It is possible to alleviate symptoms such as hot flashes and night sweats with plant remedies instead of using estorgen or progesterone. Likewise we can improve male function with herbs without an increase in testosterone. 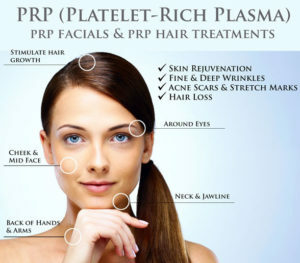 Why is PRP different from filler? Platelet Rich Plasma is your own blood which is spun to remove the white & red blood cells. When injected into the body it will become the tissue into which you inject. For example, women may have filler (hyaluronic acid) which is natural injected into the face to create fullness. The body will eat the filler & it will need to be repeated in 4-6 months. With PRP the body is stimulated with its own stem cells to create more collagen and growth factors. After 6-8 weeks the improvement can be evaluated and treatment repeated to build upon the progress from the first therapy. Generally after 3 treatments the patient will only need a touch up once or twice a year to keep the skin rejuvenated. This is much different from continually filling & deflating the skin with filler. Some insurance companies do cover visits, lab testing and prescriptions. Check with your provider. We provide the paperwork necessary for patients to request re-imbursement to them.